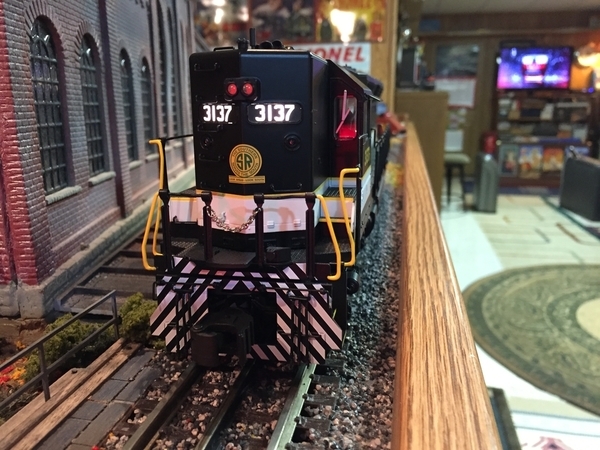 I have not seen any videos of this engine other than photo below from MR. Muffins Trains. 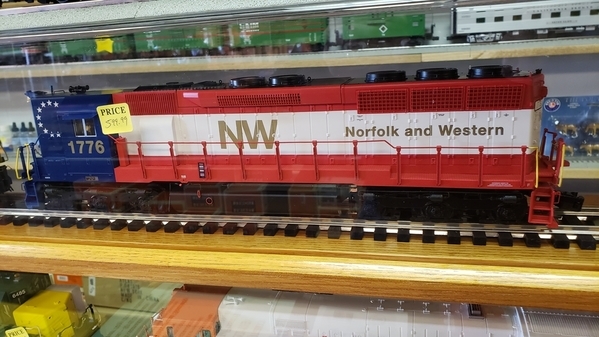 I saw thread about some of same issues existed with the couplers on these engines as with the last run of SD45's from Lionel. For anyone that has bought this engine, can you tell me if the horn is the same as the last run of SD45's? 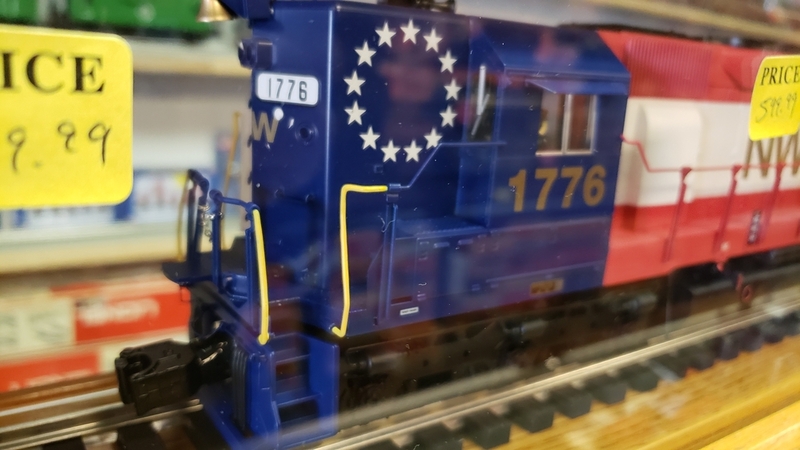 Still was wanting to see if any one had any videos of Lionel Legacy NW 1776 SD45 that was shipped a few months ago? I believe the horn is the same. That horn fits the loco well. Thanks for posting the video! Have faith, it will ship someday. Thank you, Neal, for the video! I saw one the other day at local dealer and was wanting to hear what it sound like. Did you had any quality problems with it out of the box? I really like that paint scheme, and the video above featuring the bells and horn sounded great. I have the SD45 Southern and I believe the sounds are very similar. 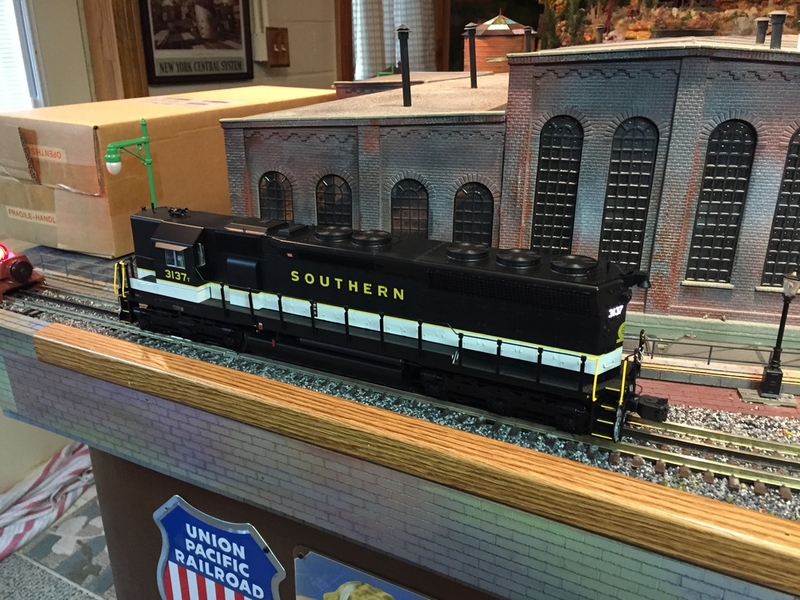 Great post, Happy Railroading..
No problems with the loose couplers as previously reported. The pilots are sagging and contacting the rails and are sparking. I have tightened all the screws but can’t get them to stop sagging. That’s why I didn’t video it in motion. I may have to give Lionel a call. Thank you Neal for the feedback. I noticed that the one in the store appeared the pilots were sagging too but I was not sure. This one was displayed in a case. If you see the couplers sagging, then the coupler has vibrated during shipping and the hole that the coupler screws into has enlarged. Tightening the screw will not help since the screw hole is slightly larger now. I had a few of these engines with the couplers detached and sagging. Since Lionel did not put any packing material around the coupler during shipping, the coupler would vibrate up and down and cause the hole that its screwed into to enlarge. It would either sag at this point or the screw would easily back out or fall out. Remember, the coupler is screwed into plastic. The plastic gives a little. All these problems with the couplers could have been avoided with a few pieces of styrofoam on each side of coupler during shipping. My advice, tell your dealer to inspect both couplers before shipping out. If couplers are okay, tell him to add packing material around front/rear coupler. I had my dealer do this and it worked out perfect. No problems.